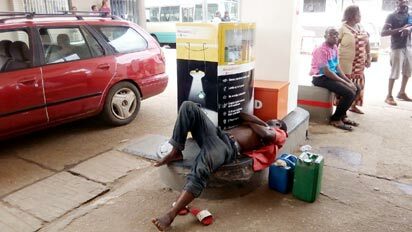 Fuel Crisis: NUPENG ready to partner NNPC to end products scarcity - BlogIT with OLIVIA!!! Nigeria Union of Petroleum and Natural Gas Workers, NUPENG, yesterday, said it was ready to partner with the Nigerian National Petroleum Corporation, NNPC, to end the perennial fuel scarcity in the country. In a statement by its President, Mr. Achese Igwe, the union noted that it had the capacity, men and will to do that and called for collaboration with the NNPC to end the endemic shortage. On privatization, the union warned that “the Federal Government should be careful not to make the same mistakes made by the past administration in the country as it happened in the power sector. We caution that the government should not allow the failure of the privatization process in the power sector to rub on the oil & gas sector.